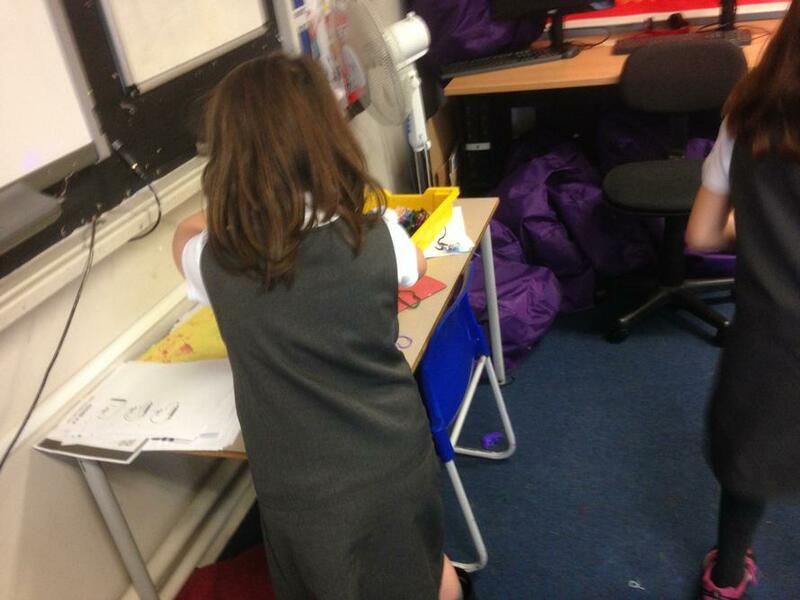 Our Egyptian display was good, but now after parents helped it is totally BRILLIANT !!!!!!! 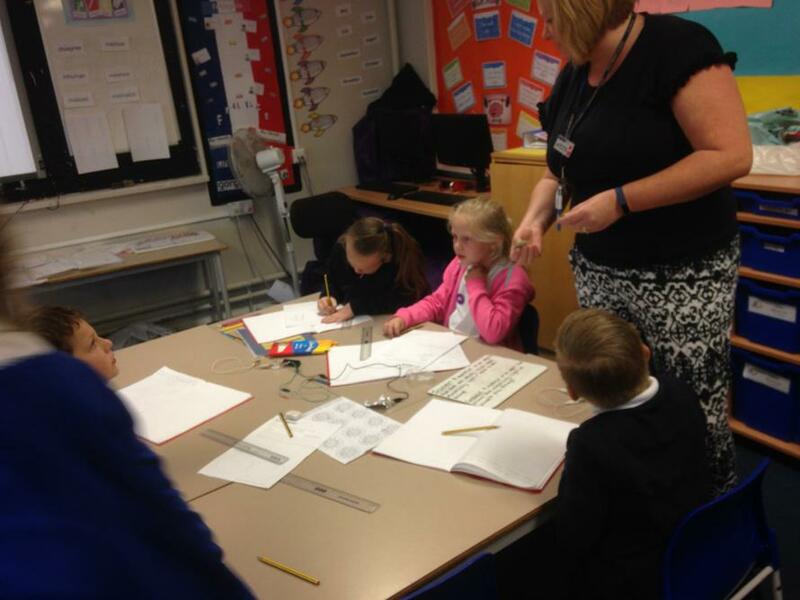 Parents joined in our creative lesson after 4M class assembly. 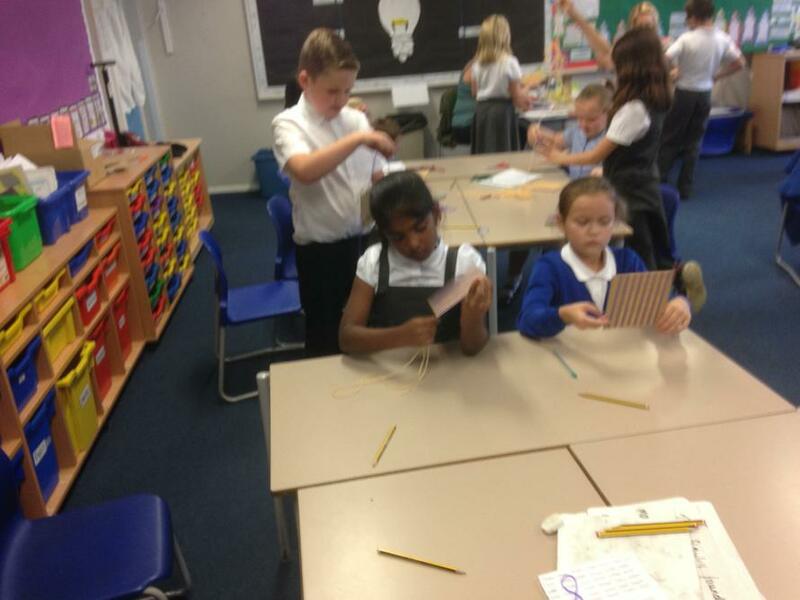 What a creative bunch of parenst we have in 4M, they really enjoyed helping the children and some were more excitied than the children. 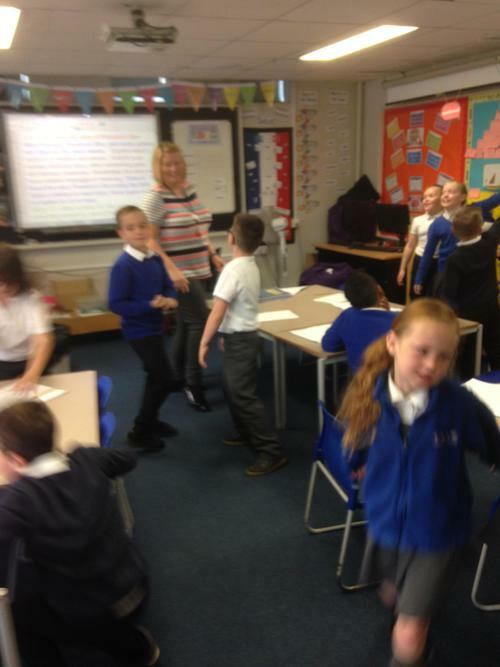 Can you spot our parent governor having fun? 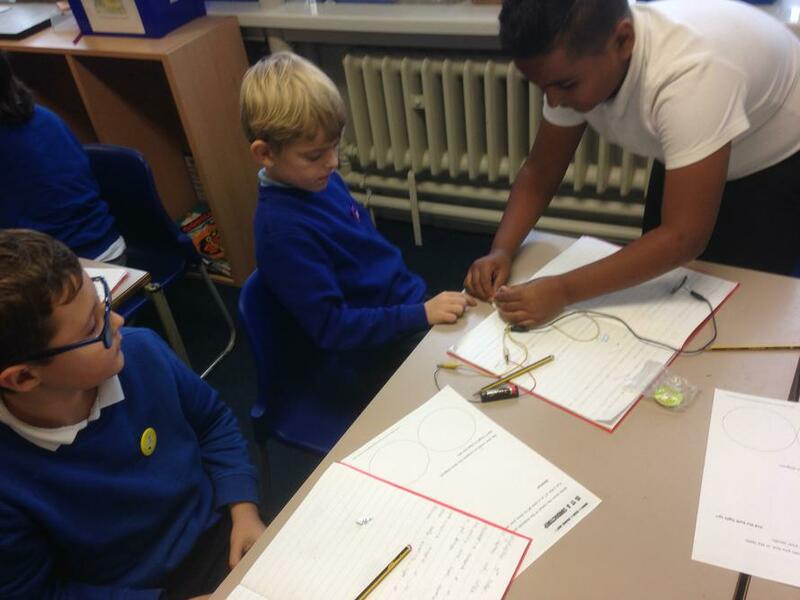 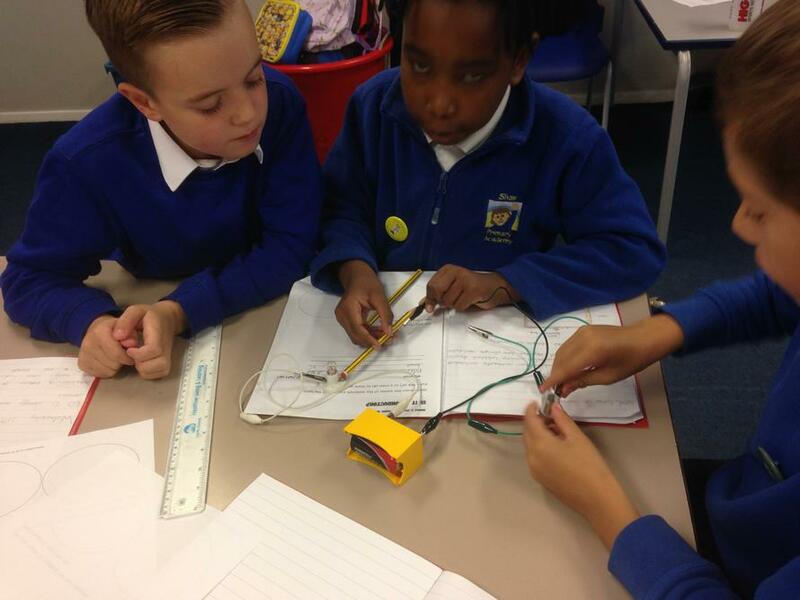 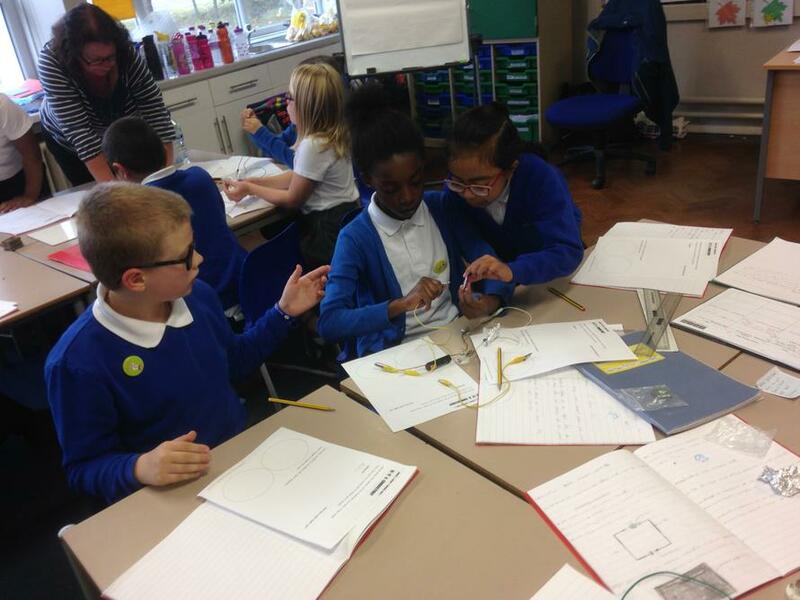 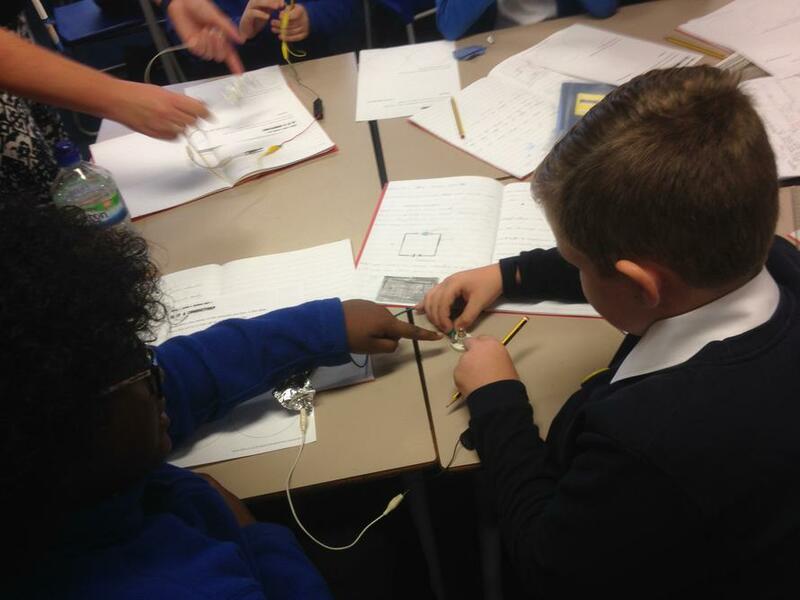 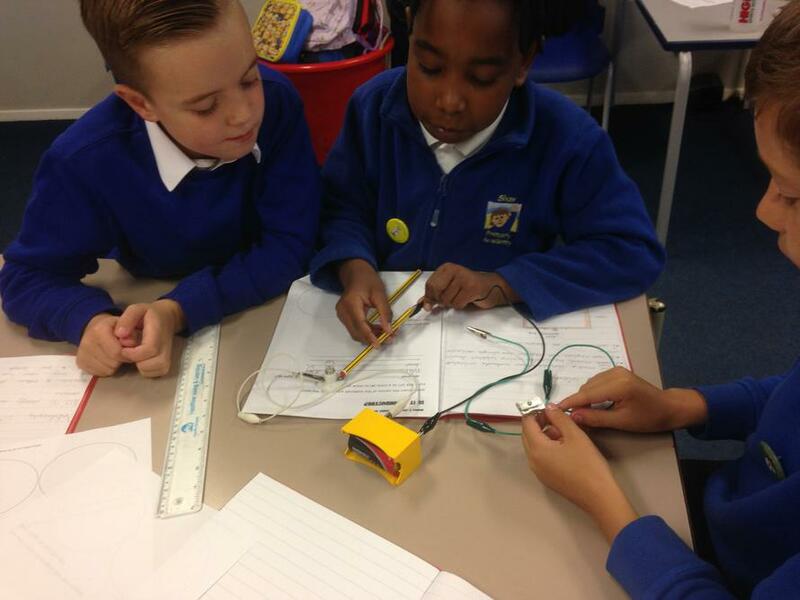 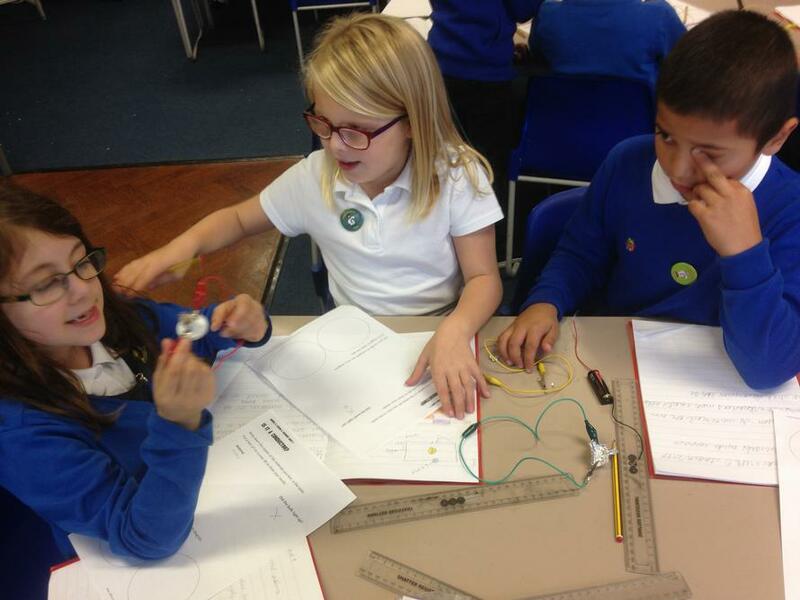 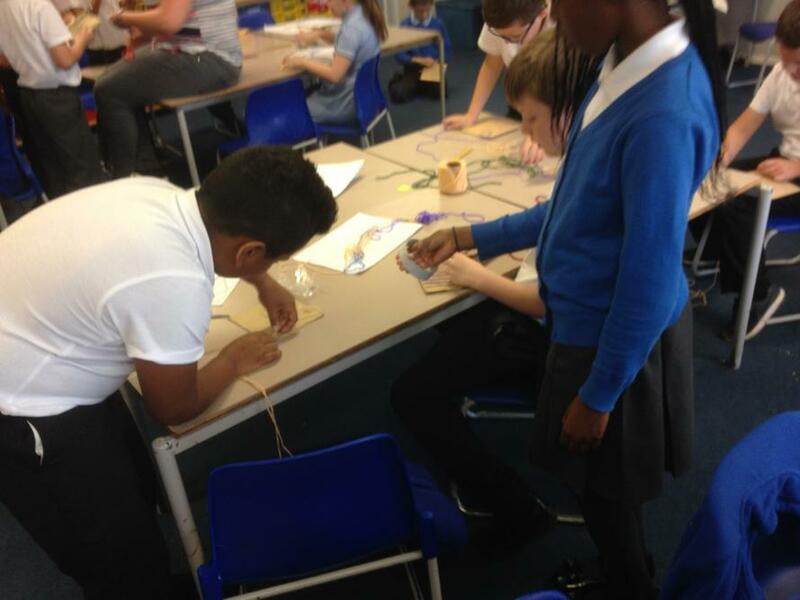 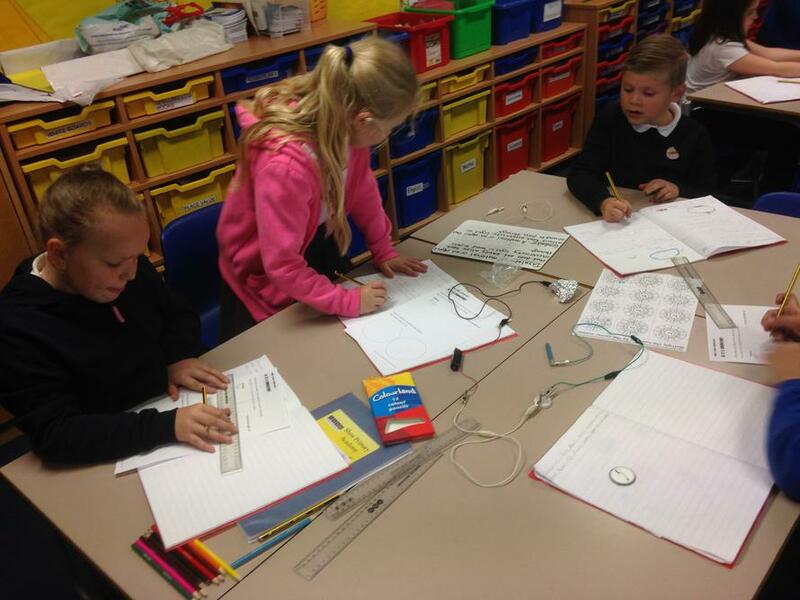 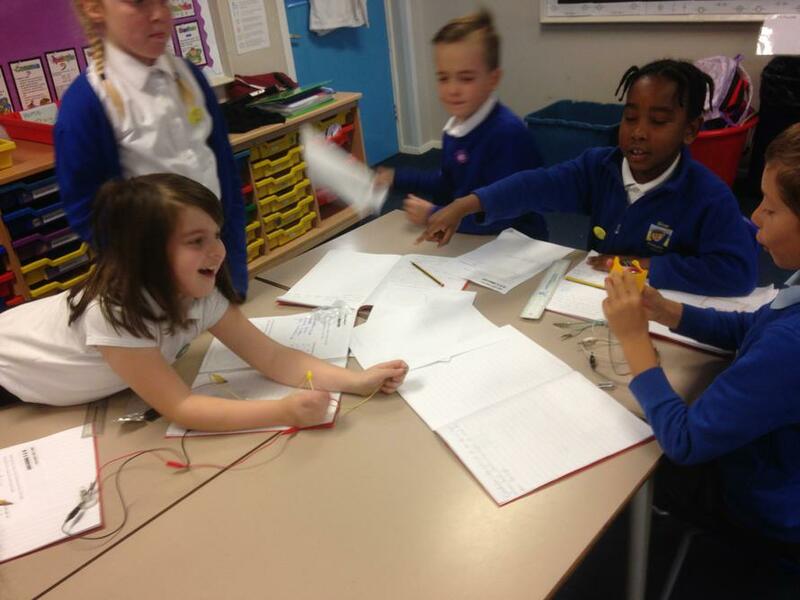 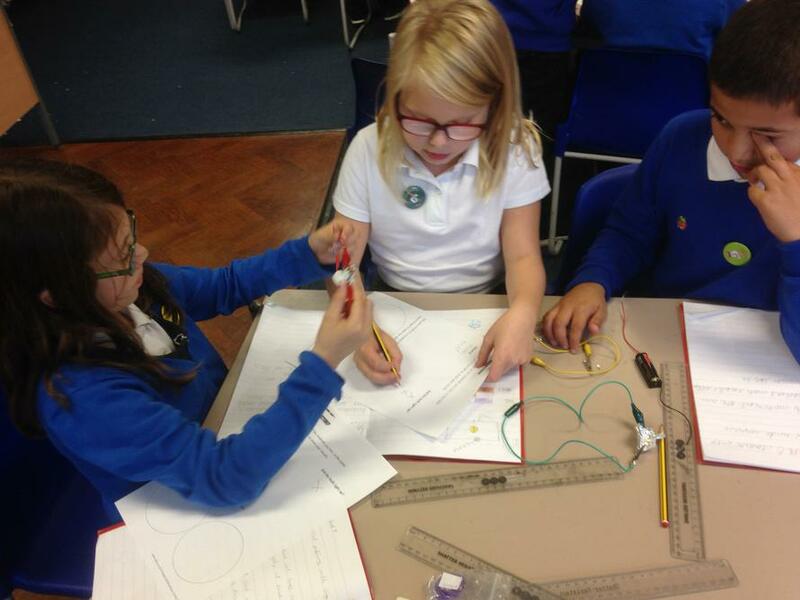 We had great fun creating out own circuts and lighting the bulb. 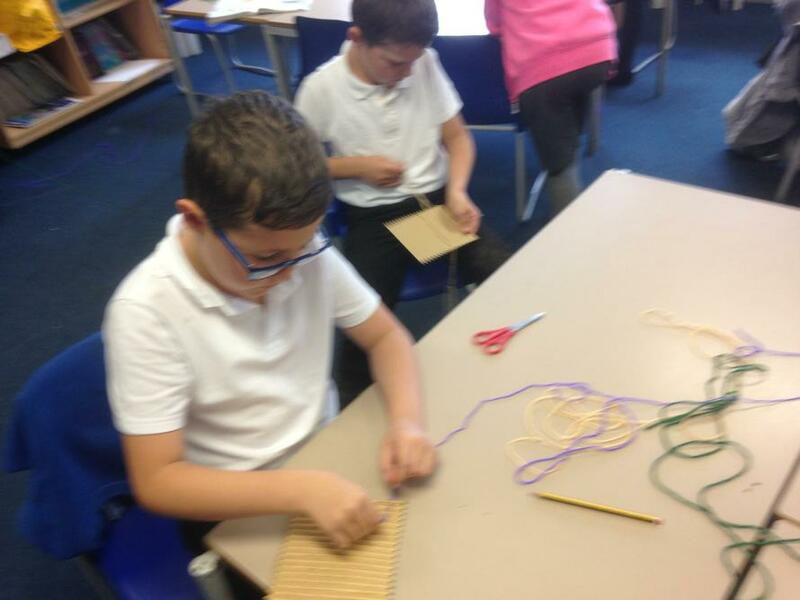 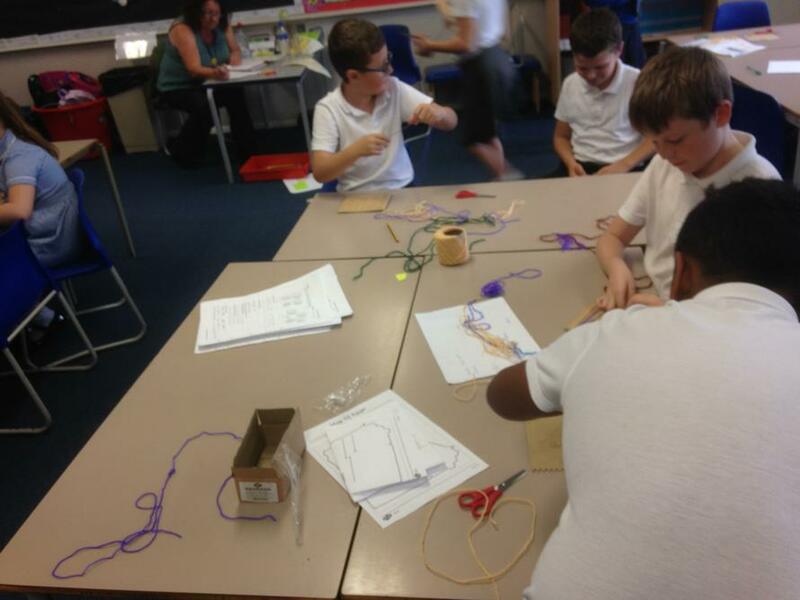 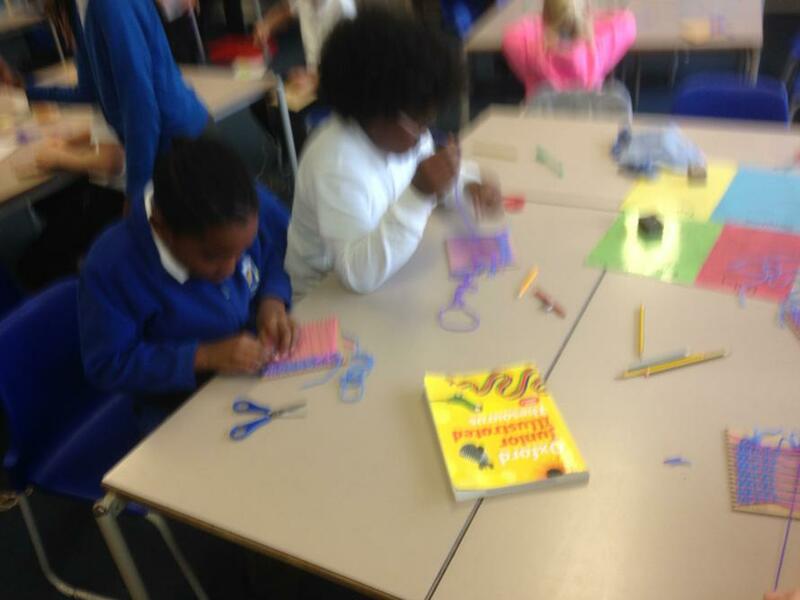 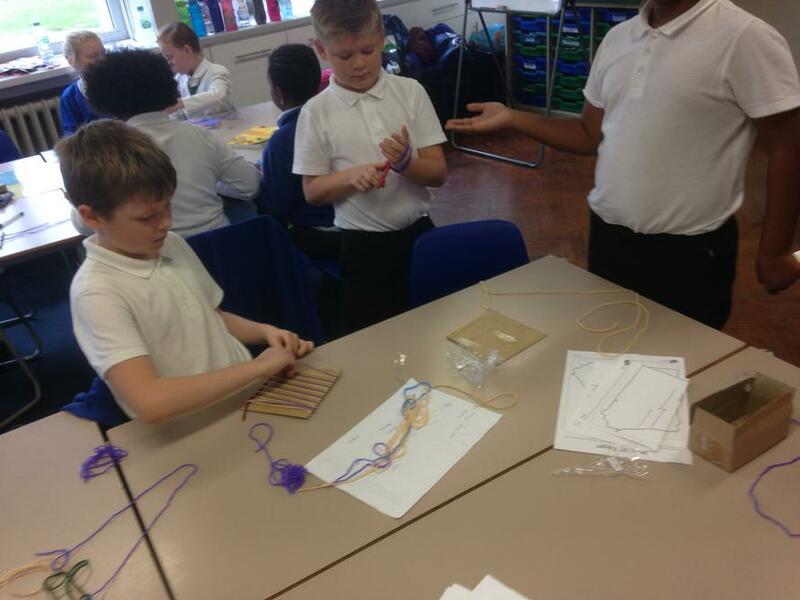 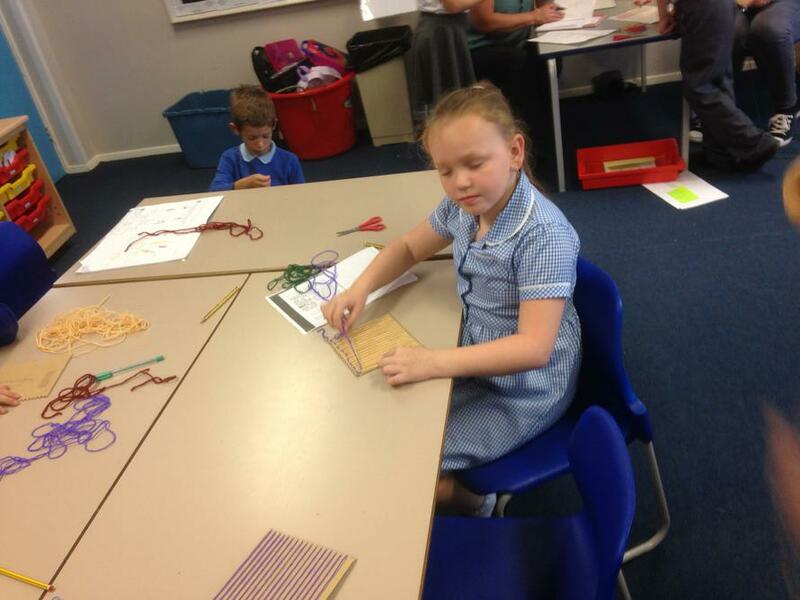 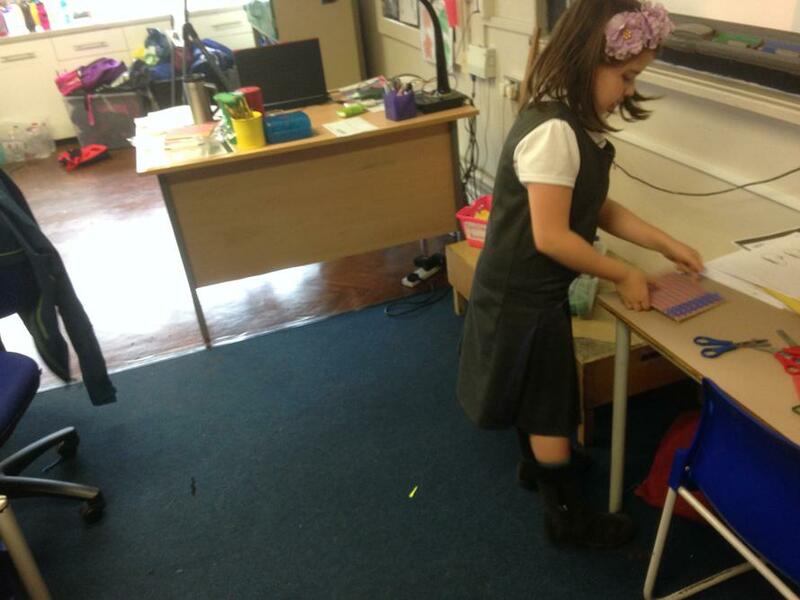 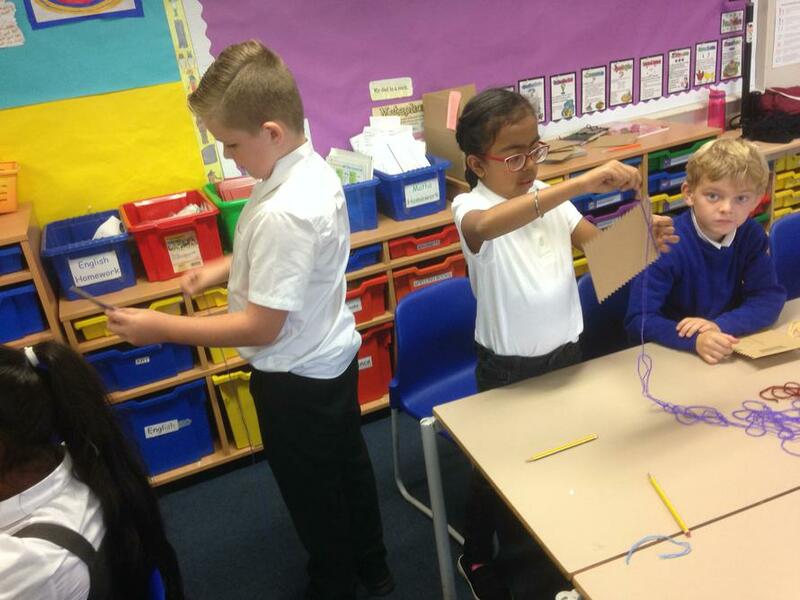 Our topic for desgin technology this term is weaving. 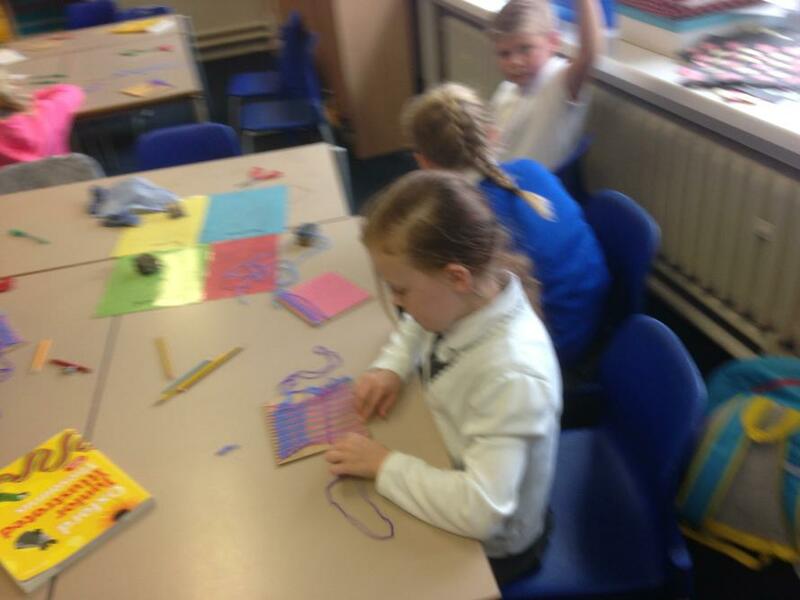 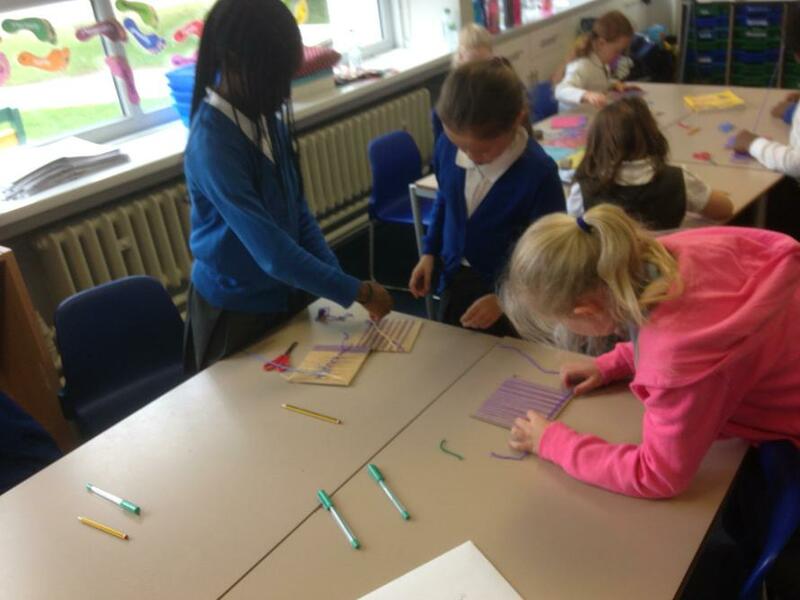 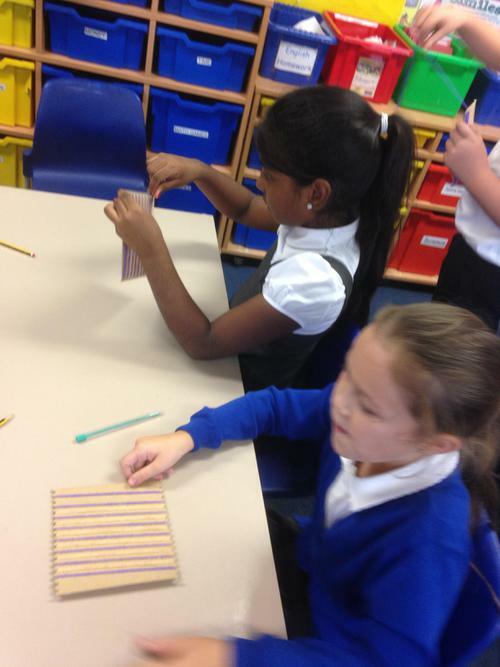 The children created varied weaves with lots of different colours, fantastic! 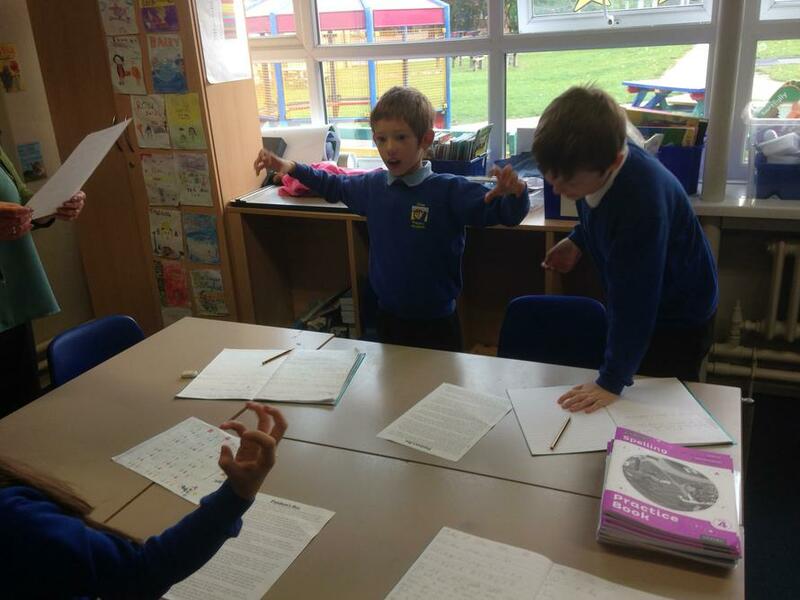 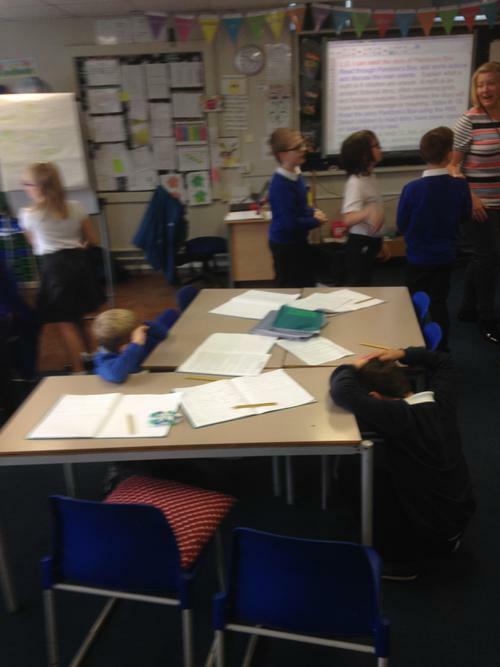 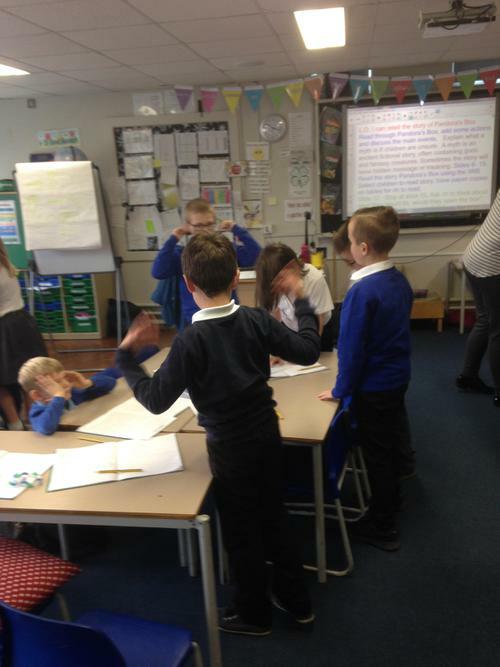 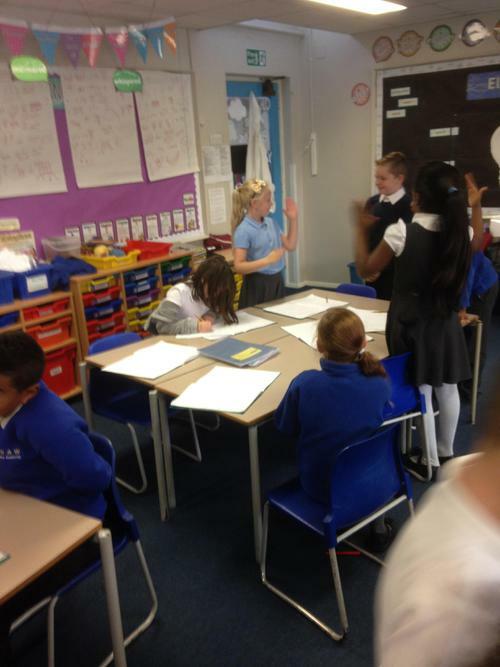 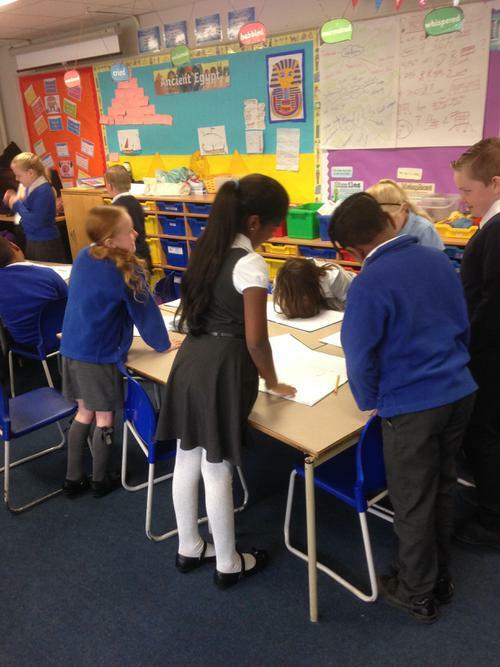 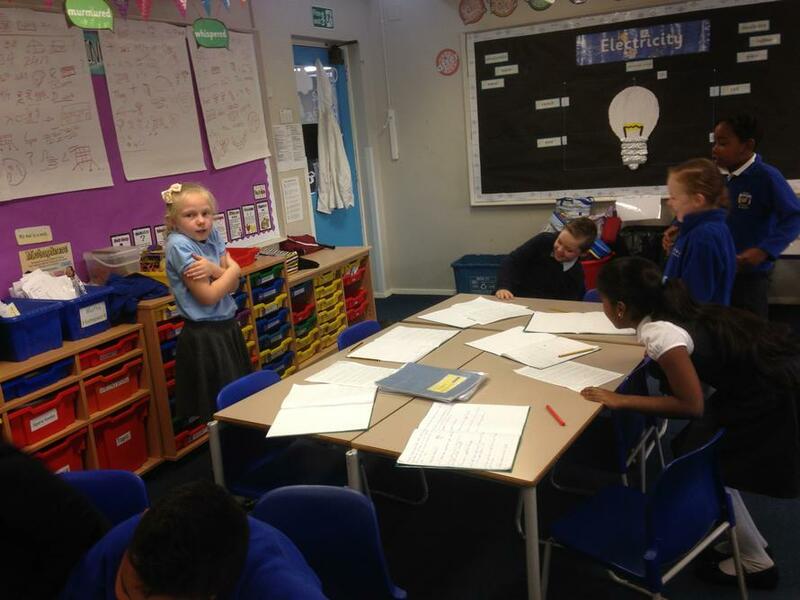 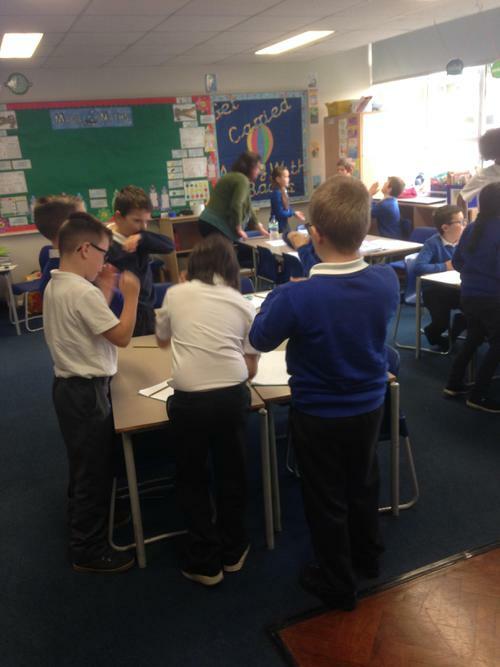 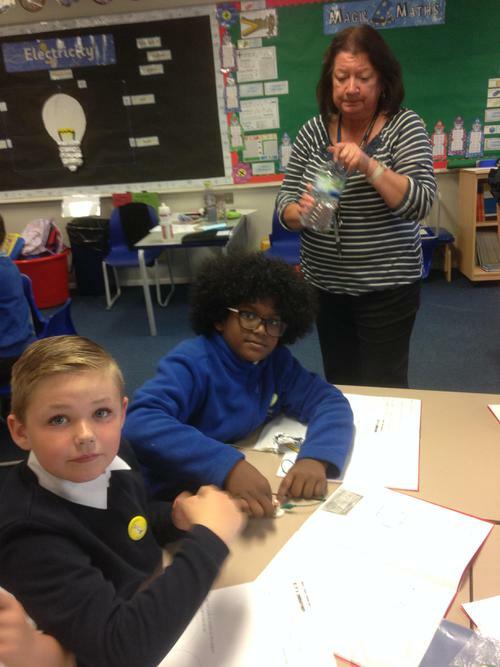 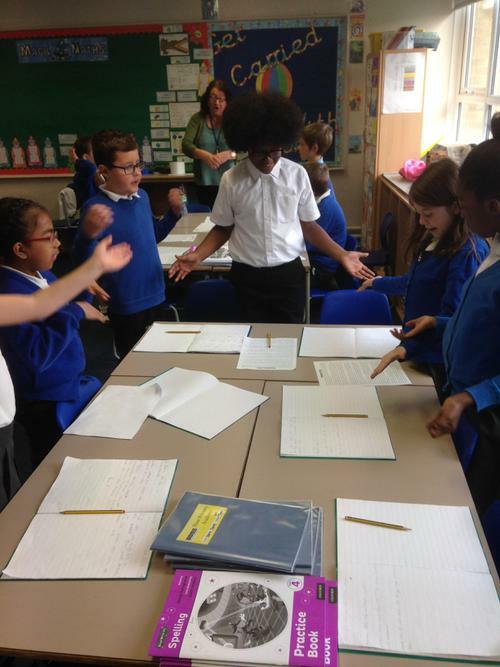 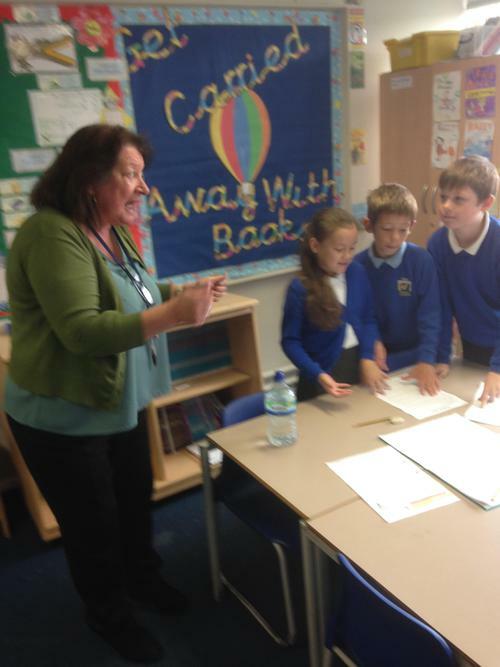 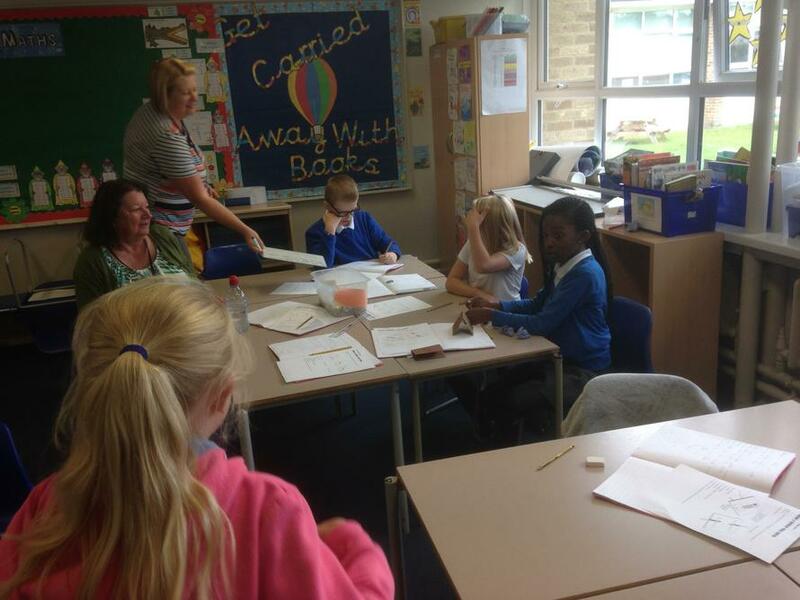 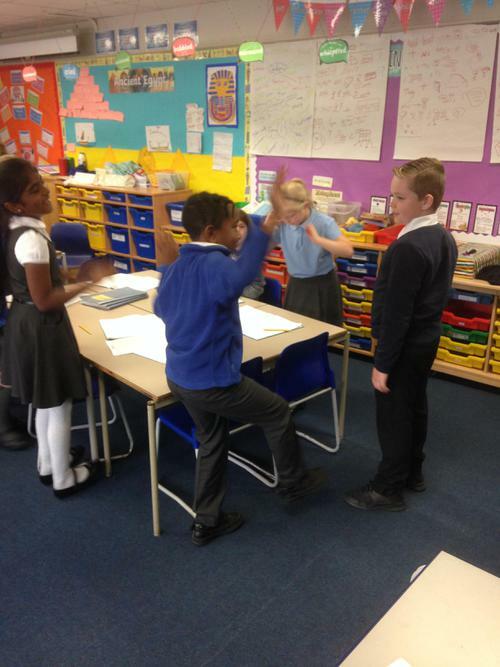 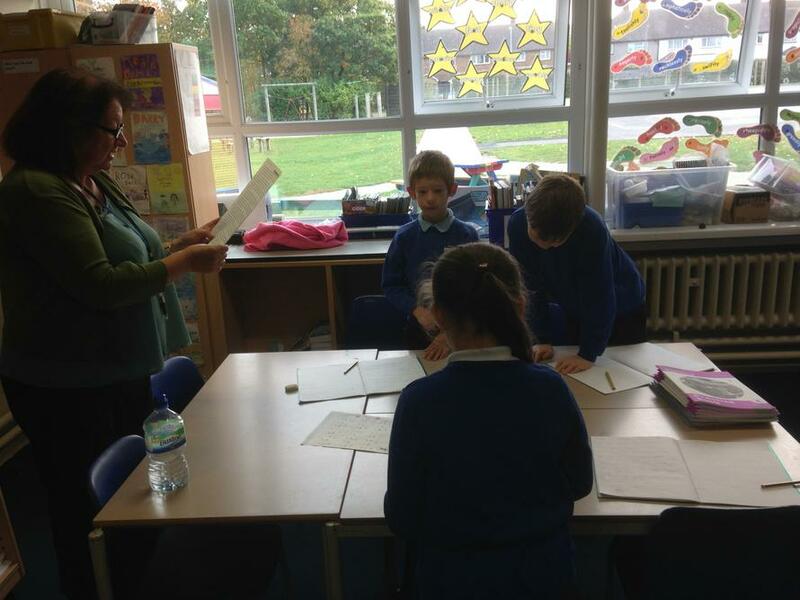 Children explore emotions and conflict resolution in PSHE. 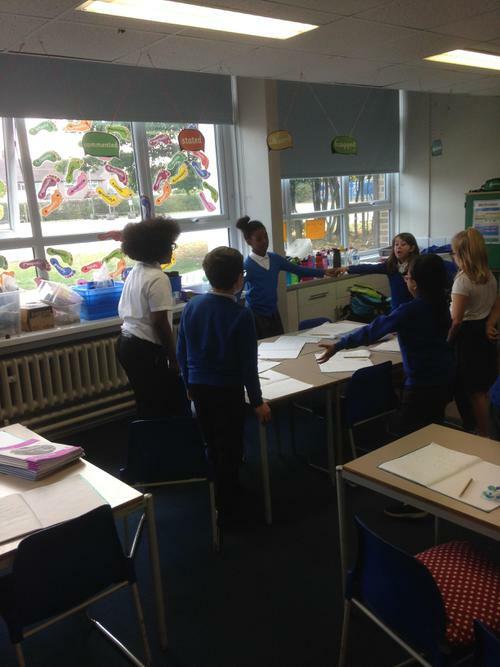 At the beginning of the week during math lessons, children carry out a practical activity to build on what they already know about the topic (NTN). 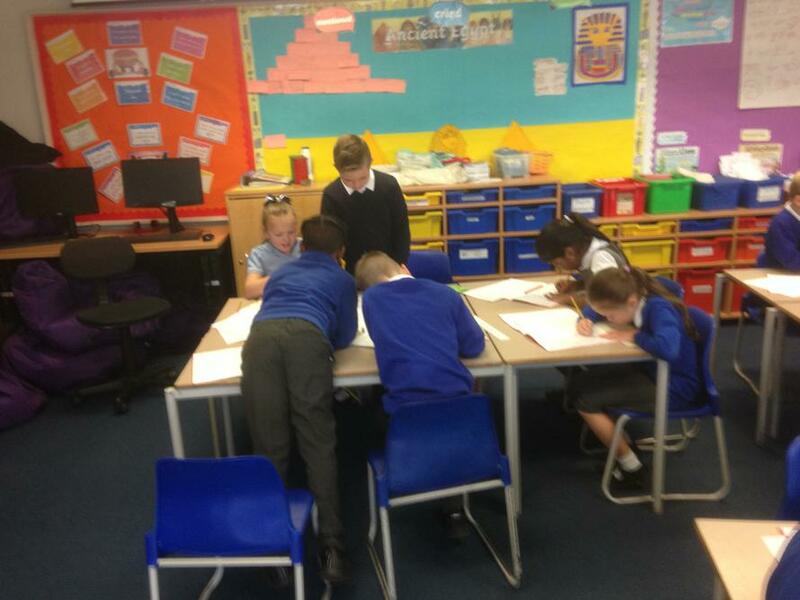 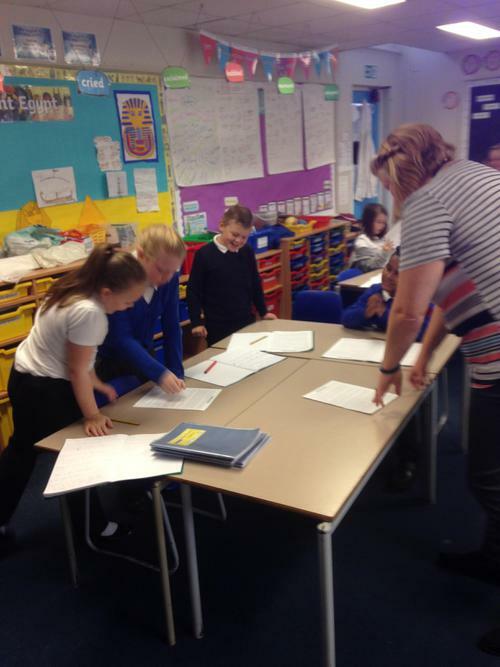 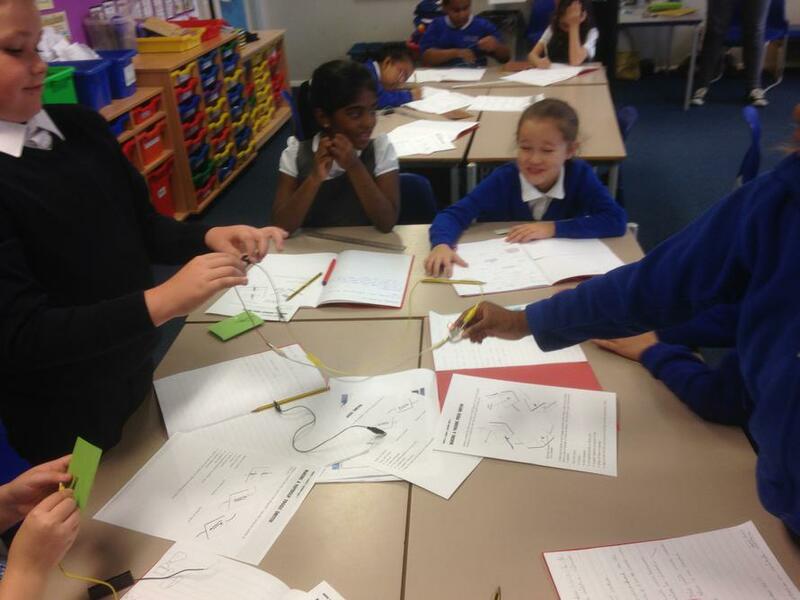 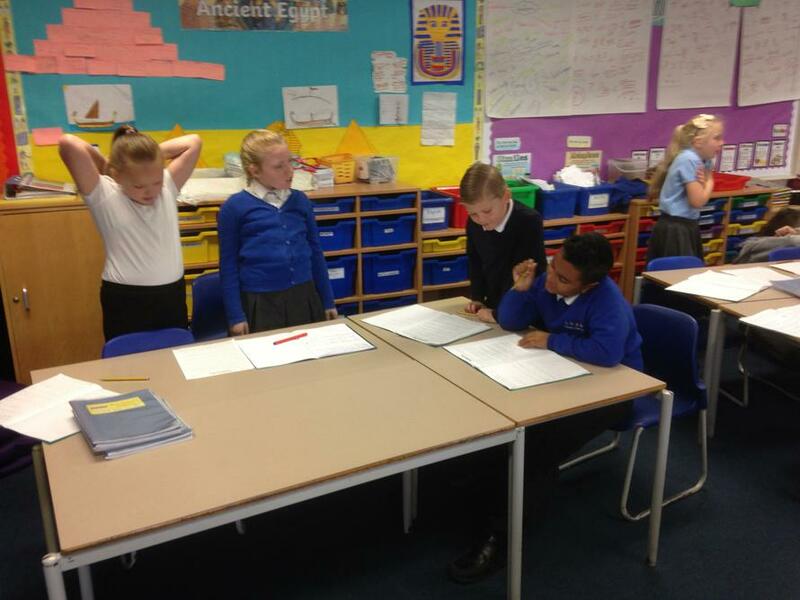 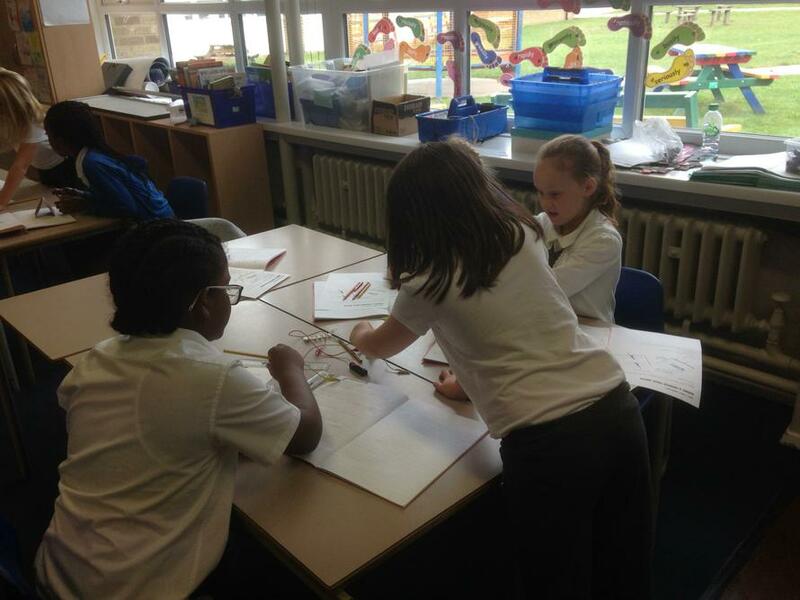 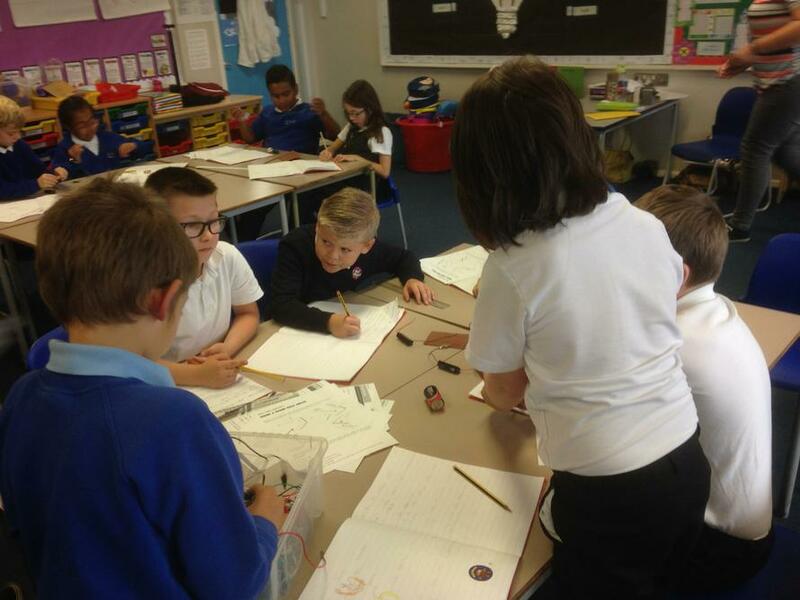 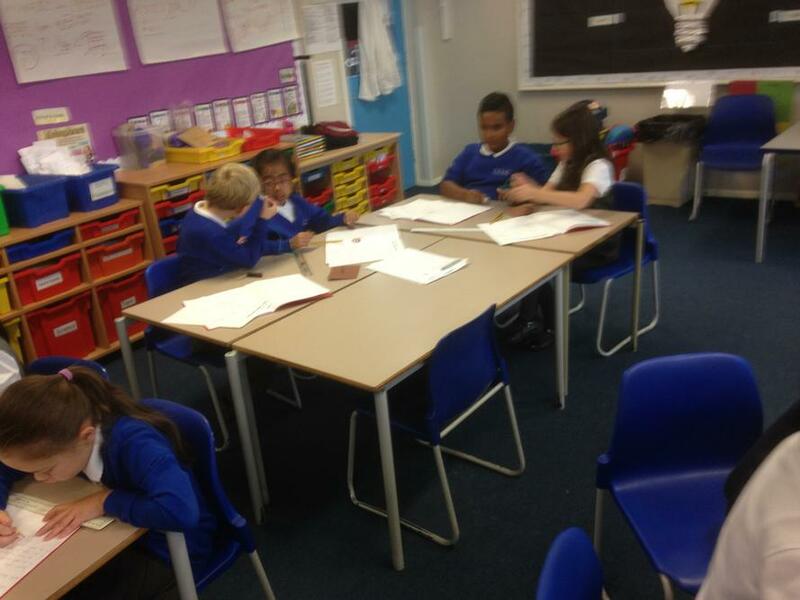 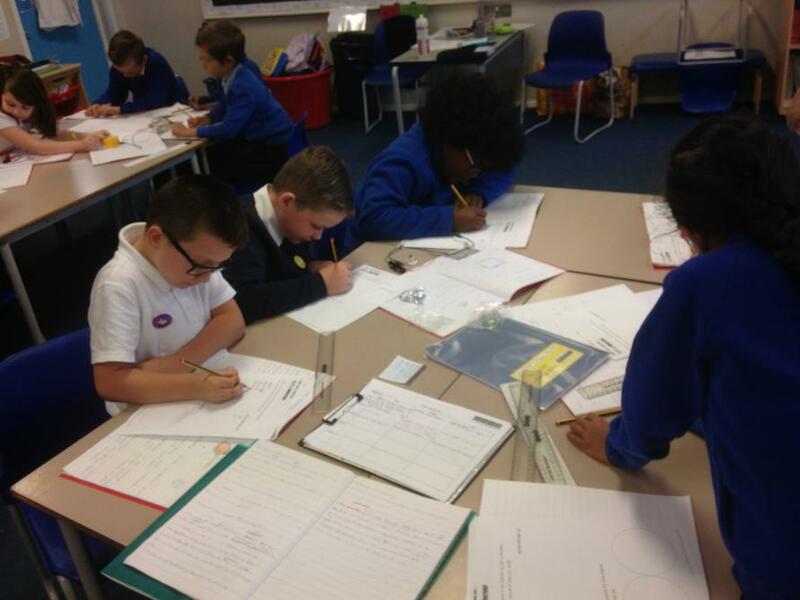 Problem solving in small groups to find different solutions and varied ways of completing the activity. 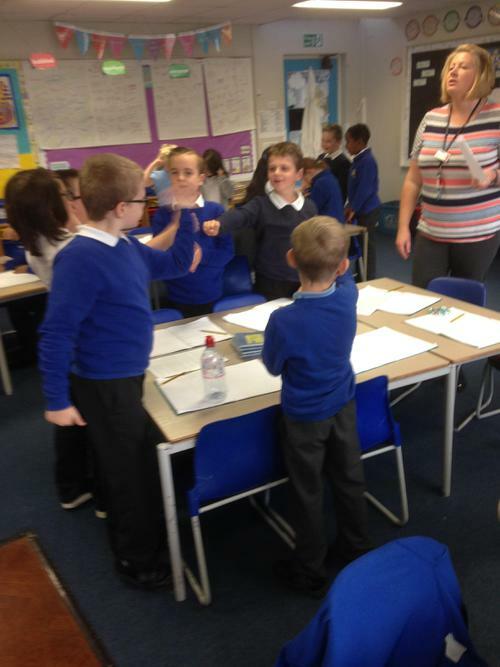 Children retelling a story through actions and gestures (Pie Corbett).